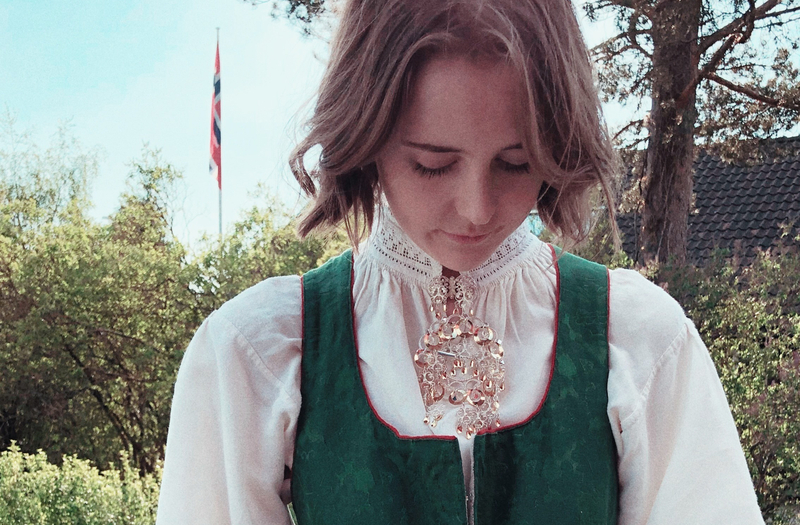 By wearing your bunad you choose to devour where you are from or the place you admire. I admire the place my grandmother was raised. She handmade this bunad for us to have and I wear it with pride for her. This years may 17th was spent with close family. Not a lot of pictures were taken but here are three in which I did take. Pictures from last years celebration.